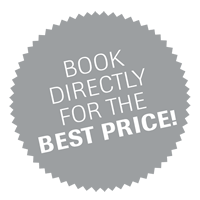 … Best Price Guarantee: Only with direct bookings via our website, by e-mail or by phone you always get the best available price – just click on the button on the right above, check prices and availability online at any time and book directly online at the lowest available price or send us an electronic request to info@hotelschandl.at and we will send you an offer as soon as possible! Thank you very much for having awarded us the best ratings of all overnight accommodations in the free city of Rust! Right in the heart of the historic centre of the royal free city of Rust am Neusiedler See, at town hall square, HOTEL SCHANDL ***SUPERIOR is located. The building, which is now protected as historic ensemble, was constructed at the end of the 17th century and has been used as hotel und hosting business over the last hundred years. In 2012, it was modernized and renovated extensively by its hosts Barbara Schandl and Alfred Grasits. Much of the old was preserved and new things were harmoniously integrated. High-grade material, earthy colors and natural materials are used, not only in the 19 guest rooms (3 junior suites, 2 family three-bed rooms, 11 double rooms and 3 single rooms). Seminars or workshops may be held at our seminar area at ground level, which offers space for up to 12 people. If you arrive by bike (direct connection to our regional cycle path network with 40 cycle paths and over 1,000 kilometers) or if you rent a bike, you may park it in our bicycle room. Hiking enthusiasts have direct access to our regional hiking trail network. 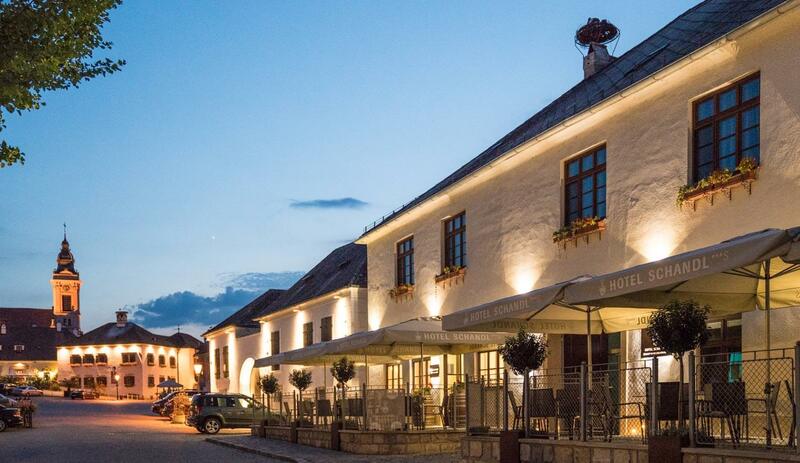 At our wine tavern Buschenschank Peter Schandl, which is only 168 steps away, you will find active hospitality and regional culinary delights. Our winery Weingut Peter Schandl, which is only 118 steps away, offers nationally and internationally rewarded wine culture and wine-growing tradition since 1741. Finally a few words about us: Since we always strive to optimize our performance, we redesigned our website. We are also happy to inform you that we belong to the ***SUPERIOR category since September 2017. We consider this distinction as our responsibility to consistently pursue the path we started when we opened our hotel on May 24, 2012. Look forward to the unique royal free city of Rust in the region of Lake Neusiedl, the sunny side of Austria with 2,000 hours of sunshine per year. We would be delighted to welcome you as a guest at HOTEL SCHANDL ***SUPERIOR.